Hi guys! 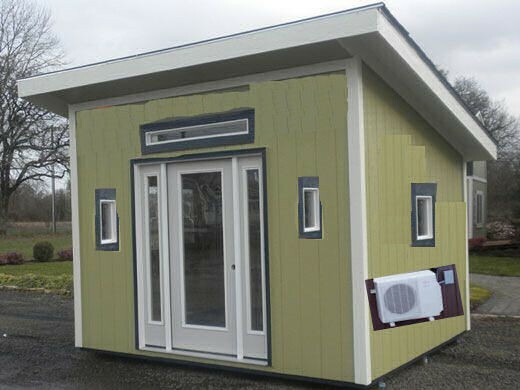 I'm building an office that measures 12' along the front where the door will be, and 10' along the sides where I want two good sized windows and a mini-split system. Door should blinds in the glass and be OK for rain to hit directly. I'd like to add two side windows to the door and a window above too so door size might matter. I'd like two larger windows on the sides, but one side holds the mini-split so I need to allow room for that. Here's my ugly drawing of the general idea. I forgot to add the FRENCH Doors though so imagine that instead of what's shown. I'm in Oklahoma so local outlets are a plus, but not required. Call you lumber yard. Some will sell direct to the public. Don't deal with big box stores. More money better the quality. There is no way around it. I actually prefer the box stores where I can go and pick up a window without the wait time and other uncertainties. Also returning is less of a headache. The brands that come to mind are andersen and pella. Both have good and bad reviews. After some years of reading the reviews, I've sort of given up that there is a final answer. It probably will cost 2-3x more if you look for the best. Probably made in europe with triple pane glass and kind of lock that closes like a ship hatch. You may find these at the lumberyards. I would not skip the box stores. Compare the prices and what you want. Fiberglass construction will be best, esp against the water damages, and quality of weather seals all around. I like neoprene head and side seals that are pressure fiited for easy replacement and bottom bulb seal that is snug on the threshold (should be fairly easy close and not binding). Jamb and trim that are weather resistant. Look for bottom third of the jamb made with treated lumber. A good weather seal also depends on lock install. For windows, I just bought some andersen 100 series casements from a lumberyard. They were about 20% less than homedepot quote. Box stores may charge a lot for special orders. I like it although I was told that the outside finish is paint. Awning windows would be also fairly weather tight compared to double hung. Last edited by carpdad; 04-17-2019 at 12:37 AM. Thanks! I'll look at Pella and Anderson. The box store wants 1500 bucks for a set of french doors with blinds inside. I was hoping to stay under 1000.